OK people listen up. Creative Loafing just profiled the 16 or so food stalls opening soon at Ponce City Market. If you need a little background, Ponce City Market is a soon-to-be-open food hall and marketplace in Atlanta that also houses businesses, apartments and retail. 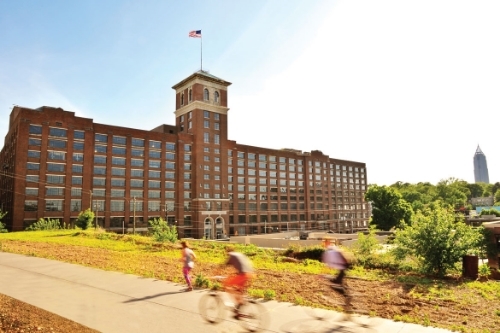 "Ponce City Market begins to reopen the fully renovated Sears, Roebuck & Company building, restoring its prominence as a vital landmark in Atlanta’s burgeoning Old Fourth Ward. At the heart of Ponce City Market is the marketplace itself, a ﬂexible space to gather, eat and shop." Want more? In early 2014, Travel + Leisure ranked Ponce City Market as one the 25 in its list of “The World’s Coolest New Tourist Attractions,” and just a couple days ago, Zagat included PCM as one of its "14 Most Anticipated Fall Openings Across the U.S."
This is big stuff. Once fully open and operational, Ponce City Market could be held in the same esteem as New York's Chelsea Market and San Fran's Ferry Building Market. And combined with the fact that it's right on Atlanta's BeltLine trail - it's putting Atlanta in a whole new category of attractive places to live in the U.S.
Now let's get to the good stuff: the FOOD. Minero: Mexican street food from James Beard winning chef, Sean Brock, of Husk and Minero in Charleston, SC. El Super Pan: Latin-inspired sandwiches from Atlanta's Hector Santiago, Top Chef and former owner of Pura Vida. Bellina Alimentari: like a mini-version of Eataly - Mario Batali's Italian marketplace in New York and Chicago - this will be one of the largest operations at Ponce City Market. 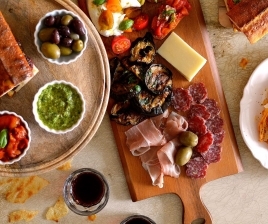 It will consist of a restaurant, a gourmet Italian market and a wine bar. Chef Dave Berry, formerly of Horseradish Grill, will be the executive chef of the restaurant. Biltong Bar: South African cuisine (meat pies!!) from Justin Anthony of Yebo and 10 Degrees South in Buckhead. H&F Burger and Hop's Chicken: both concepts from Linton Hopkins of Restaurant Eugene and Holeman & Finch in Atlanta. We all know the beauty of the H&F Burger; add to that a casual stand to get fried chicken and biscuits. Dub's Fish Camp: casual-style fish shack from James Beard winning chef Anne Quatrano of -- among other things -- Bacchanalia, Atlanta. 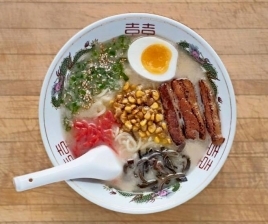 Ton Ton: ramen, yakitory, and sushi from Atlanta's Guy Wong of Miso Izakaya and Le Fat. 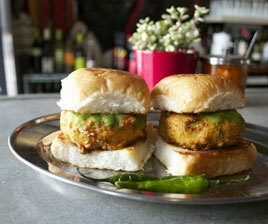 Boti: Indian street food from the founders of Chai Pani (in Ashville, NC and Decatur), Meherwan and Molly Irani. Will also include an Indian spice market. As yet untitled Italian bistro: celeb chef Jonathan Waxman, of New York's Barbuto, is bringing his food to Atlanta in the form of a casual bistro. Will be located next to William-Sonoma. Seriously? How will we try it all?? According to Atlanta Eater, the majority of Ponce City Market's food hall tenants will open this fall and into 2016. (Atlanta Intown reports more specifically "...the food hall eateries would begin opening mid-September and continue rolling out into November.) Many plan to time their openings with the October 10 "Party at Ponce," a celebration of the opening of PCM. For more information about "Party at Ponce" click here.